Who else is ready for fall? I love the beginning of summer but Oklahoma tends to be so hot that by mid-July to August close to unbearable. I am in full fall mode even though it’s still 95+ degrees here. I bought 2 new guardians at Target so I am ready for fall to be here. One of my favorite things about fall is switching over to fall makeup. Last year I was really enjoying the deep purple and maroons vampy vibes and I bet this year will be the same. I’m already itching to switch out my summer lipstick for my fall shades. But there is also a lot of great things out right now that I want to add to my collection for fall. 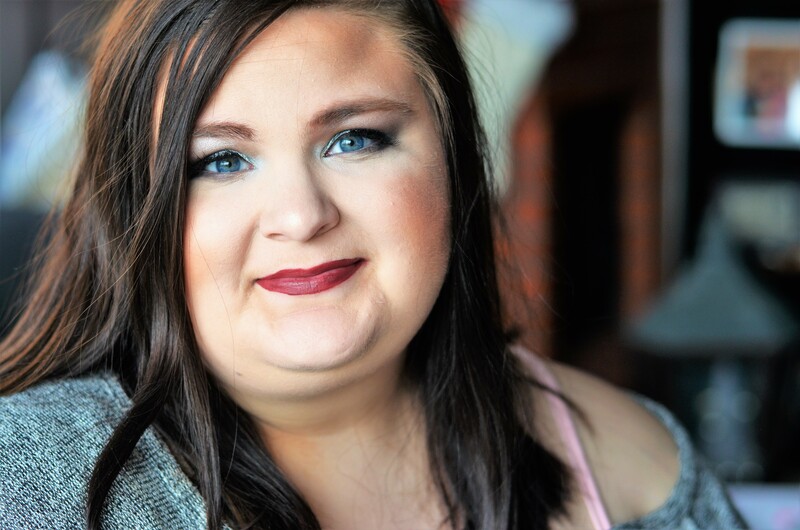 Today I thought it would be fun to share my fall makeup wishlist with you. I wanted to show you a few of the things I’ve got my eye on in the makeup world right now. Oh, the pigment! My mom picked up the sapphire shade of these duos and they are incredible. Stila really knows how to do shimmer and these are packed full. One side is metallic and one is glitter but both really pack a punch, When I saw the rest of the shades I knew I had to put the purple one on my wishlist. I’ve been loving purple eyes lately and this would make them even better! Have you seen these yet? Do you have one? Let me know what you think! The best thing about fall is the dark reds and the berry shades. During the summer, Sephora ran a quick sale on these Too Faced lipsticks and I grabbed a pretty berry shade that I am in love with right now. The formula for these are so awesome that I wanted to grab another one. Also, the packaging is some of the best I’ve ever seen! When saw this deep red shade I knew it had to be in my fall makeup collection. I love this lippie because it both is matte but moisturizing. 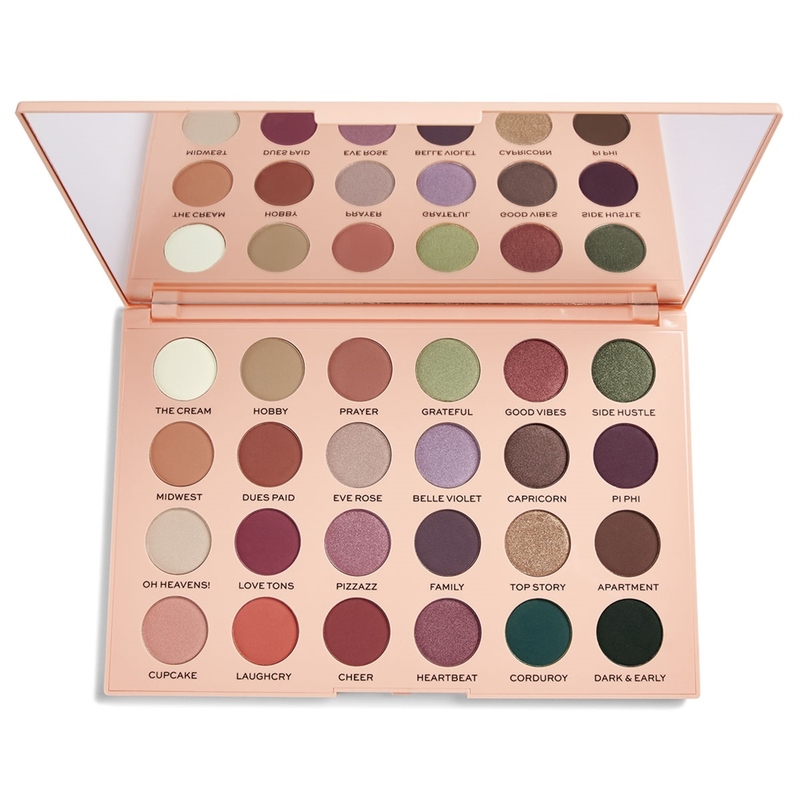 Makeup Revolution is killing it with palettes in my opinion. Their Soph X highlight palette is probably my top highlighter. I love the shades in this new eyeshadow palette! Perfect for fall. I’m obsessed with the cranberry shades as well as the green shades. I rarely ever use greens but this would be a great way to dabble in them. As always, there are a few shades I could do without but that happens in my palettes. I rarely ever used browns but I have been wearing them more often. Makeup Revolution is great at mixing shimmers with mattes so I love buying their palettes because they have great versatility. Aren’t these shades beautiful for fall? Another Stila palette because they’re my favorite right now. I love the Glitter & Glow liquid shadows and I have one of these shimmers as well. But I love purchasing these little sets because you get to try out a few different colors! Luckily these colors aren’t the ones I have! These are perfect to add to an eye to spice it up or throw on all over the lid for a fast look. I’m still learning how to best use these so having a few more wearable shades would be perfect! These are calling my name. I actually found these fall shades while browsing the Ulta page and saved them in my favorites so I could grab one in fall. There are a couple shades in this line that would work for fall but London Calling is my favorite. It is a great deep mauve- right up my alley! 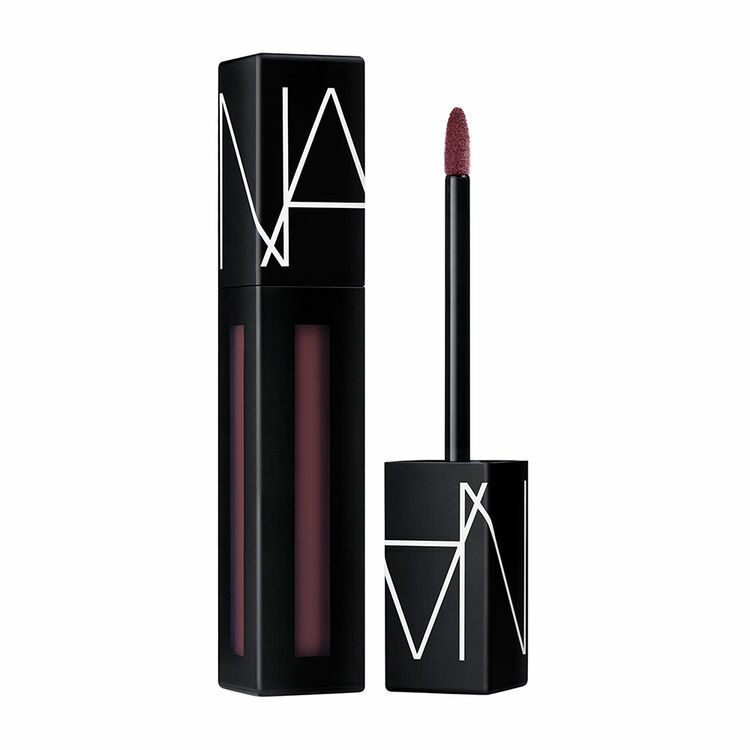 I’ve never used a Nars lippie but knowing the brand, I’m sure they’re great quality. The color is good for everyday wear without being too vampy. I definitely need to grab this one up soon. I had to include a highlighter, didn’t I? I’ve read so many of this palette and I’m sold. These seem to be so creamy and really great quality. I also have a lot of rose shades in my collection so these golden tones look awesome. I can’t seem to find these palettes in a store around me so it looks like I’ll have to order online. 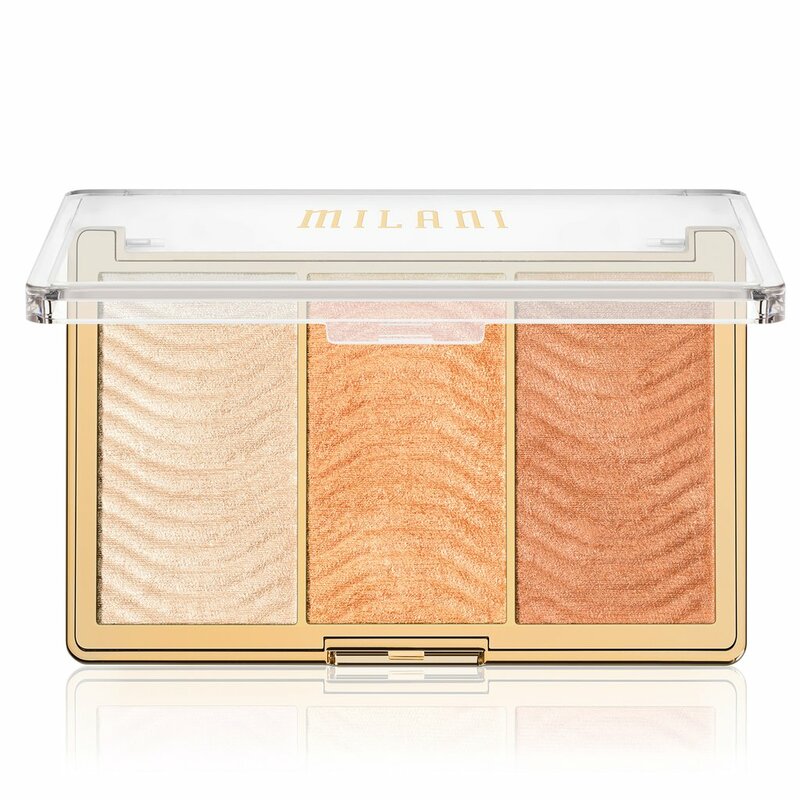 The beauty gurus have spoken highly about these palettes and its time I try them for myself. They have two shades but this one was more me. The other one seemed to have more unique shades. What is on your fall wishlist? I’d love to hear about what you’re wanting to pick up for the fall season? Bring on the pumpkins and falling leaves!